Are you the type of person that will try to do, whatever you can. To feel good or do you just hope you're going to be in a good mood? When you leave our mood to chance, then there is a high probability, you will wake up in a bad feeling mood. Do you. Wake up, rush out of bed and just hope you're going to be in a good mood? Do you have a set of morning rituals you follow to help set yourself up for a great feeling day? Does your preparation to feel good and to have a great day, start the night before as well as first thing in the morning? If your answer was 1. Then, you are totally relying on chance and you should consider introducing some feel good daily routines and rituals. Then that is good as it shows you are taking control of how you feel. If your answer was 3. Then you are doing everything right. Because how you feel as you awake in the morning has a lot to do with what emotional state you're in when you go to sleep. Therefore if you start preparing the night before, especially if you deeply relax, before you go to sleep. Then you will get a good quality and deeply restful and restorative sleep. On awakening you will feel. Refreshed, energized, alert and happy. If you top this up with some morning rituals, to set yourself up for having a wonderful day. Then you're going to have a way lot more good feeling days than bad. Things that you can do to get you into the right state as you go to sleep are. As you lay in bed, appreciate of all the good things that you have no matter how large or small, most people become so focused on all the bad stuff, that they fail to appreciate all that is good. Find things to be thankful for, no matter how large or small. Because it is the feeling that you're searching for. If you struggle to find things to appreciate, just appreciate or love, your pillow, the air that you breathe, being alive, the food on your table, the cloths you have, etc. Because it does not matter what you're showing appreciation for. Again, it is the feelings you will get from being thankful, that really matters. Feeling and thinking that you're not good enough or worthy enough will also hold you in a low and negative mood. If you're not happy with your job, it may not be a good idea to appreciate that you have a job or look for a better one. Another great way to put you to sleep in a good feeling and relaxed state of mind and body is to meditate or listen to some soothing and relaxing music just before you drift off to sleep. Then practice, letting go of all your worries and concerns and just allow those thoughts to enter your mind and then sail on bye peacefully. Hypnosis and guided visualization are another great way of calming your mind and body at the end of each day, hypnosis is both therapeutic and relaxing. Another thing to be aware of, is the onset of any bad feeling or negative thoughts. The things that you observe and experience in your life or the thoughts and imaginings that take place in your mind, all carry with them an active emotional response. The trick to help you control your mood, is to start to be mindful of all the things and imagings that are causing any negative emotional arousal. Because if you allow one negative thoughts to take hold, another one will follow and before long the negative emotional momentum will get going and it will end up spoiling your day. Try to avoid responding stressful or badly to things that occur in your daily life. If you notice and negative or anxious thoughts, try to break up the thought patterns. You can simply ignore the thoughts and let them enter your mind and let them pass on bye peacefully, or go for a walk, put your attention on to something else, meditate or replace them. If you have allowed your bad feeling thoughts to gather momentum and emotional arousal, try to slowly ease your way back to a relaxed state. You can do this by, challenging the thoughts or by gradually decreasing their intensity, by switching to less general bad feeling foods, then go to general thoughts. Then switch to better feeling thoughts, question, is the actual situation as bad as you're perceiving it to be, is there a positive lens to the situation or ask yourself are they just beliefs or facts, if they are beliefs, replace them with more supporting beliefs..
Be mindful to what makes you feel bad or puts you in a bad mood is an important step to help you sustain those good feeling emotions. Avoid listening to sad songs or watching to many sad films or television shows. On the flipside, listen to happy and uplifting music and try and watch things that make you laugh. Going for long walks in nature, can help reduce stress and improve your mood, there is nothing more relaxing than being by water. Water is meditive, and being outdoors in the light, will help to pick you up. Another thing that can make people worry to much or feel anxious is all the negative bad news that is pumped out on the TV or the media. It is OK to be aware of what is going on in the world, but try not to let it affect you. Keeping active and getting plenty of deep relaxation are both good ways of boosting your mood, and make it your dominant intention to feel good. Try not to tie your mood or your happiness to physical things situations or conditions. Because good feelings, happiness and joy have to be cultivated from within. Do the things that make you happy and do more of the things that you enjoy. Smiling for several minutes can boost your mood. It is also important to keep your body hydrated and make sure you have adequates amount of water. Keeping a positive mental attitude and trying to find a positive in a negative will also help to keep those positive vibes going and prevent the negative momentum. When you notice your mind wandering onto those negative bad feeling thoughts, try not to emotionally engage in them and pursue them. Just let them run, but ignore them, then find a better feeling thought replacement. Negative thoughts lead to those self destructive emotions and negative thoughts will disempower you tremendously and they will trigger the release of those toxic stress hormones. Positive thinking, on the other hand, will empower you tremendously and the they will activate the release of those good feeling endorphins "Serotonin" and they will trigger good feeling emotions. Then on awakening, set yourself up to have a fantastic day, start the day by being thankful for what you have and appreciate the day ahead before it has even happened. Write down or say to yourself what you are grateful for. If you have a gratitude diary use that. If you do not have a gratitude journal, then start one. Because, this can really help to ground you in a better feeling place of the peace of the present moment and after doing this for a while, you will be astonished, at how it can build your positive momentum. Make it a habit to start the day off with some positive affirmations or statements about you and your life, assume and act as if you're going to have a fantastic day. Tell you, that you're going to have a great day and nothing or nobody is going to spoil your day, each morning, let you know that, each day I am going to get better and better and make it a habit to use positive statements of intent. Morning is also a good time to have a quick meditation session, or do a short exercise routine to get the blood and feel good energy flowing. Feeling good is all about doing the right things repeatedly until they become a habit and a natural part of your daily routine, because when you make some new positive habits, everything will become better and better. Feeling better and better is a progressive process, changes can be subtle, but if you keep working at it, your bad days will be better and your good days will get better and more frequent until, one day, feeling good will be your natural state of being. When you do notice yourself slipping into a negative state, do you ever try and do everything you can to improve your mood or do you just accept it and then go on to feed it with more negative self talk. Sometimes there might be a genuine reason for your low mood other times they can seem to happen for no obvious or apparent reason, one thing to bare in mind is, if you're feeling really tired and exhausted it can make you feel low. If you find yourself experiencing a stubborn negative mood, accept how you feel, you can then put a time limit on it, tell yourself I will only put up with this for say two days, then I am going to begin to feel better. We all get periods of low moods, the difference between the positive and the negative types is, the positive will not tolerate or put up with them and they know how to quickly return to a better mood. Whilst the negative type just keep on allowing their inner voice to repeat I am feeling low without attempting to change their inner dialogue. The truth is there is nobody else who can affect your mood, the only person that has control of how you feel is yourself, so look at be mindful of what', you're doing that is making you feel bad then correct it. When people try to feel better they very often search for reasons to validate why they are feeling sad or miserable, this is fine if you know what exactly causing you to feel down, because if you know the reason that's triggering your low state then you can do something about it. The obvious solution is to usually do or think the opposite to what's causing you to feel bad, after all, if you know what you don't want you must know what you do want. If you're feeling low for no obvious reason,then it is far better to focus on finding ways to boost your mood rather that just analyzing and focusing on why you feel so down. Because the more attention you give to how bad you feel, the more negative momentum you will give to that negative state and ultimately the worst you're going to feel. Often we need to change the story in our mind, be mindful, avoid falling into the trap of endlessly reinforcing to yourself how lousy you feel, otherwise this will keep you stuck in the unwanted emotion. So it is far better to try and switch your attention to feeling better or try to think of and return to past happy times and occasions, your goal is to do anything that will make you begin to feel better. If you are experiencing regular low moods then you may need to make some positive and healthy changes to your life. This may involve changing your lifestyle, switching to a healthy and varied, balanced diet or taking it easy for a while and find ways to deeply relax as burnout can be the reason behind a low mood. You may need to exercise more or be more active as well as being more optimistic and positive about yourself and your future combined with keeping your mind active and positively engaged. Feelings of low mood are usually and indication that your mind and body are out of balance and although sometimes environmental factors can lower our mood. The root source of persistent low moods can mean that there is an imbalance in your body, and it is more often than not an accumulation of several different things. When you have an imbalance in the body, it can have a negative effect on the mind, and many people assume that bad moods and depression are a mental issues when much of the time it is a problem or imbalance in the body. Low moods and depression are often a result of a combination of nutritional and vitamin deficiencies, imbalances or inflammation in the body. If you are stressed or exhausted this can cause an imbalance in your body, if you eat a poor diet, then this can have a negative influence on your mood. Slouching or having an out of aligned body posture, can put you in a negative state and standing and sitting too tall or straight can cause muscle tension which will leave you feeling tense and irritated. Exercise or just keeping active can boost your mood, as can taking up hobbies like painting, photography or outside leisure activities, nature is a great relaxant and mood booster. Inflammation in the body can have an influence on your mood and overall well-being. Inflammation is not all a bad thing, as it can help your body to heal itself, but for some it can get out of control. Stress and tension can cause inflammation, but the majority of inflammation is caused through eating too many bad foods. Foods that you may be intolerant to, such as dairy, egg, nightshade group of vegetables, yeast, wheat or gluten (Check with your dietician or medical advisor) may also cause inflammation. If you have a food intolerance, which may take time to surface after you have eaten the food that disagree's with you. Then it has been suggested that it can cause such things like fatigue, weight gain, gas or bloating and mood swings and disorders, skin conditions and many more things. As far as food intolerance goes, each person's trigger food can vary, so it may be a case of trial and error to try and pinpoint which foods may be affecting you. If you suspect that you are suffering from inflammation, you could try eliminating the suspect or bad foods from your diet for a few weeks. If you notice an improvement and you feel better, you could then try introducing the suspect foods one at a time for a few weeks to try and find out which one is the culprit. There is also a range of cooling foods that can help you to reduce inflammation. Vegetables, especially the green leafy vegetables, fruit, herbs and turmeric are full compounds that reduce inflammation, other good anti-inflammatory foods are whole grains, olive oil, nuts, seeds and legumes. Omega 3 fatty acids are a good source of nutrition and anti-inflammatory properties. Good sources of omega 3 can be found in the healthy fish like salmon, tuna and mackerel. A magnesium deficiency has been linked to anxiety, low energy, stress, mood swings and depression. Magnesium has been shown to help relax the muscles, calm the body and it can also help to improve your mood and it has been suggested that it is an essential mineral for feeling good. Although magnesium is an essential mineral for maintaining your energy levels, helping to improve your mood, relax your muscles and reduce your stress and anxiety. Consuming too much magnesium a day has been linked to causing diarrhea, so you need to strike the right balance. Other things that can affect your mood are dehydration or medical conditions, so if you're experiencing frequent and prolonged low moods then it may pay you to visit your doctor. It is also important to eat a varied and well balanced, healthy diet, when the body does not receive the right nutrition, it can affect how we feel. The feel good endorphins serotonin has been linked to our moods, serotonin helps to control our moods by helping us to keep anxiety and depression at bay. You can get a serotonin supply from foods, relaxing or by doing things that make you feel better, exercising and a bit of positive and optimist thinking will also give you a serotonin boost. Try and avoid the quick food boosters such as high content, sugary snacks, they may give you a quick and temporary boost but that is usually short lived. To maintain a good healthy balanced diet you need a mixture of the right balance of both proteins and complex carbohydrates with a slower rate of sugar release. Foods that have a good source of serotonin are turkey, buckwheat, free range eggs and bananas. Whitefish and salmon are good to keep you alert, whilst too much high sugary or fried foods can leave you feeling sluggish. Do you suffer more with low moods during the cold and dark winter months. One of the reasons why you may feel more low and lethargic during late Autumn and through the winter months could be down to a vitamin D deficiency because of the lack of sunlight exposure. Lets face it. We all feel more happier and energized during those long hot summer days, and we all tend to get outdoors more. For a long time now. Vitamin D has often known as the sunshine pill and it is thought to be one of the most important vitamins that is vital to help maintain the healthy functioning of our body. Vitamin D is also believed to be essential for good bone health as well as helping you to combat feelings of tiredness and fatigue. Vitamin D is also thought to be an important vitamin that may help to give your immune system a boost. This may help you to avoid illnesses like colds and flu outbreaks during the winter months. Vitamin D has been linked to assist the support of good and healthy functioning of the brain, especially as it is thought to help promote the release of the happy endorphin "serotonin". Of course you cannot beat natural sunlight, as is the best natural source of vitamin D.
However, for many it is not always possible during the winter months. If you cannot get adequate amounts of sunlight, especially if you work in doors during the winter months when you go to work or school, or if you're a housewife and you're often stuck in the doors. Then you may benefit from taking a vitamin D supplement, especially throughout the autumn and winter months. Many people just do not have enough access to the sun every day in the winter. Whilst others are reluctant to go in the sun, because of the health risks of to much sun exposure. If you're lucky enough to live in a warm climate and the weather permits it. Then 15 minutes of sun on part of your body can often be enough, to top up your vitamin D levels. Try and avoid over exposure to sunlight, or use a high factors sun protector, cover up or stay in the shade especially during the heat of the summer. Our posture is directly linked to our moods and how we feel. Ideally you want to sit, stand and move with poise and ease. Many people have developed poor tension habits. If you're body is tense and rigid then you're going to feel uncomfortable. Tense muscles are also linked to our fight, flight freeze response and safety mechanism. Ideally you should sit and stand, so you feel comfortable and balanced, with the least amount of tension. Leaning forwards/backwards, slouching or trying to sit and stand to straight or stiff, will all make you feel uncomfortable. Having a high self worth and regard for yourself is always a must, after all, if you don't feel good about yourself you will struggle to feel good about anything. Try not to let anybody or anything control and dictate your mood, sometimes we have to learn to switch off from the world around us so we can go inside and make our inner world a more pleasing and peaceful place for us to be. Far too often we give all our focus to what's going in our surrounding environment, the key is let your inner world control how you feel instead of the outside dictating things. When things are not going too well externally for you, try not to let it bother you, because to find inner balance and that sort after feel good state of flow sometimes we have to ignore events on the outside. When you can learn to smile in the face of adversity you will gain so much emotional freedom, control and bliss. There is no such thing as a problem free life, but it is important to try and not to let your problems drag you down. This may mean that you have to accept what's bothering you and let the matter go to release any negative resistance. You can still feel fairly good despite your current problems so long as you accept and come to terms with your troubles first. Once you do this, in that more relaxed state you can work through your difficulties more easily without you slipping into a deeper negative state. Listen to or hum your favourite uplifting and upbeat feel good emotions, songs or tunes or listen to your favourite music as long as they are not depressing tunes. Do some deep breathing exercise for a few minutes as this can help reduce stress and tension, make sure you do not keep tensing your muscles especially the shoulder region. Eating small amounts of dark chocolate can elevate your mood according to research. Chocolate contains phenyltethylamine which is a mood regulating chemical which is produced naturally within the brain, it may also increase the production of serotonin the brains natural feel good chemical. Listen to your emotions, avoid trying to suppress, stop or resist your feelings, accept and acknowledge your feelings, If you feel anxious, let you know that. "Yes, I am feeling anxious right now", then start to go the opposite way, "How I want to be is peaceful and calm", again if you're angry or sad do the same. We've all been left feeling pretty low at one time or another. We try to fix it. We work out, we eat healthy foods, we get a good night's rest and follow the usual ways to feel better but sometimes we just don't seem to get the results we expect. 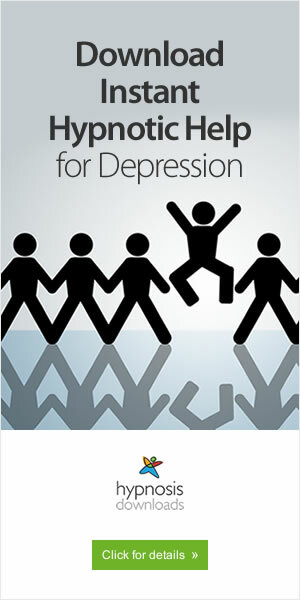 If so, then those days of unhappiness and feeling down could now be over for you. Because for the first time ever technology is replacing some of the more traditional ways of helping you to feel better. The world's most powerful "digital drug" has been launched. This powerful music recording uses special audio patterns to influence your brainwaves, helping to increase your mood and give you an uplifting boost. It's completely safe* - and 100% proven by science. All you have to do is just slip on your headphones, hit the "play" button, sit back for 30 minutes - and enjoy the benefits of this brilliant "audio pill!" The information provided on this page is for information use purposes and it is not meant to be a substitute for professional medical advice. You should not use this information for the diagnosing or treatment for health conditions. If you suspect that you have a health condition, consult your doctor.